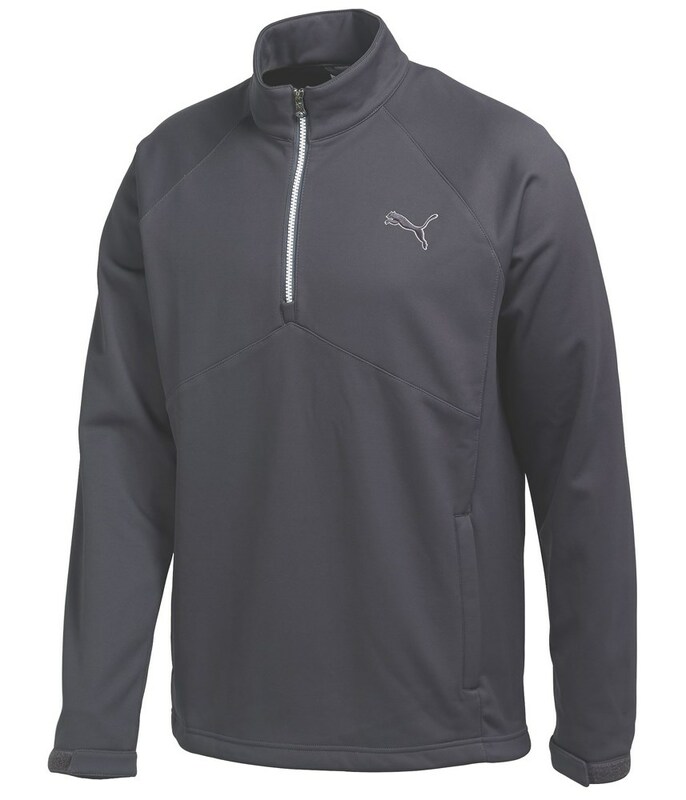 The Puma Golf Warm Storm Half Zip Popover has been made so that playing golf in the cold and rain is more bearable and less restrictive when you have to wear a couple of layers. Puma Golf have used a soft brush back stormCELL fabric that will stretch in all the right places to give you a totally unrestricted feel as well as protect you from the elements. The half zip features a stand up collar ensure that no heat will escape when it is cold and the half zip design is a great temperature regulator when it starts to warm up. To make sure that you get that perfect fit Puma Golf have used a hook and loop cuff design for your arms and an adjustable draw cord at the waist of the popover. 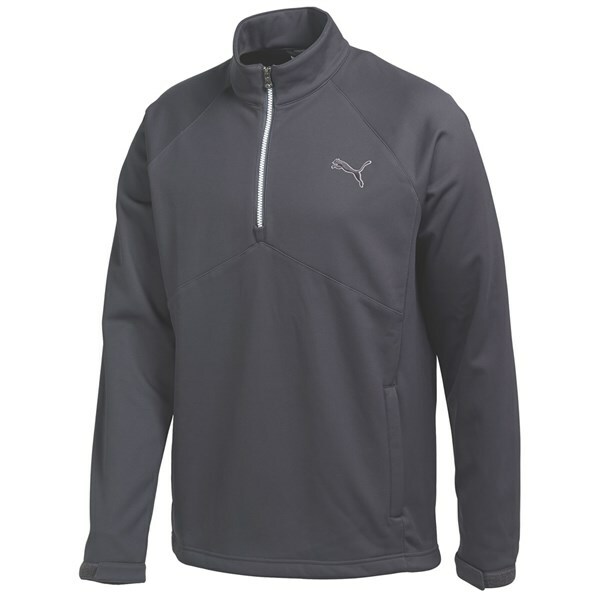 For convenience the Puma Golf Warm Storm Half Zip Popover features zip closure hand pockets that will be really useful while waiting your turn in the cold weather.